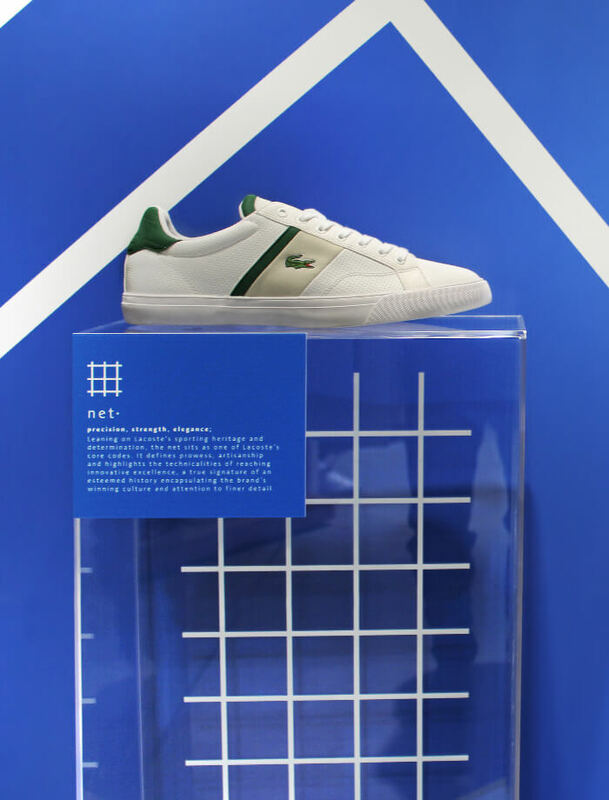 This pop-up space celebrates Lacoste’s iconic pique polo shirt, created more than 80 years ago by Rene Lacoste to complement performance and effortless style. 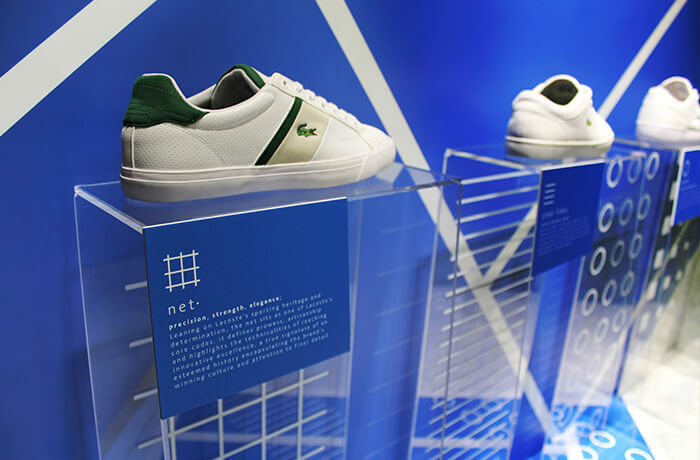 The ‘brand codes’ reflect key silhouettes from Lacoste’s design history, and give consumers some background on these and their relevance to the SS16 Footwear Collection. 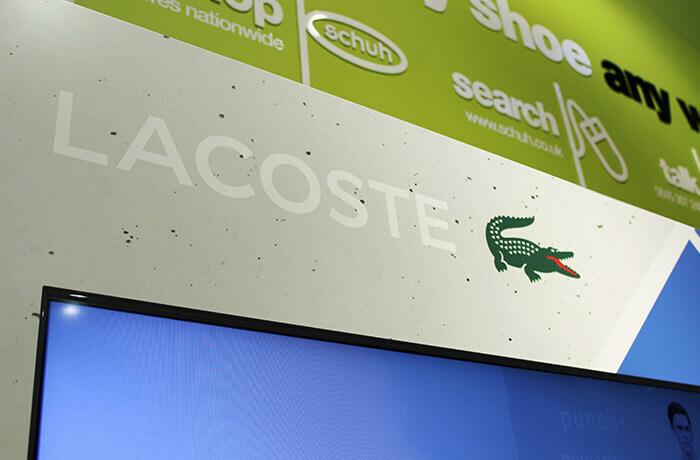 The space features varying layers of patterns and a wrapping court image with clearly defined product display podiums. 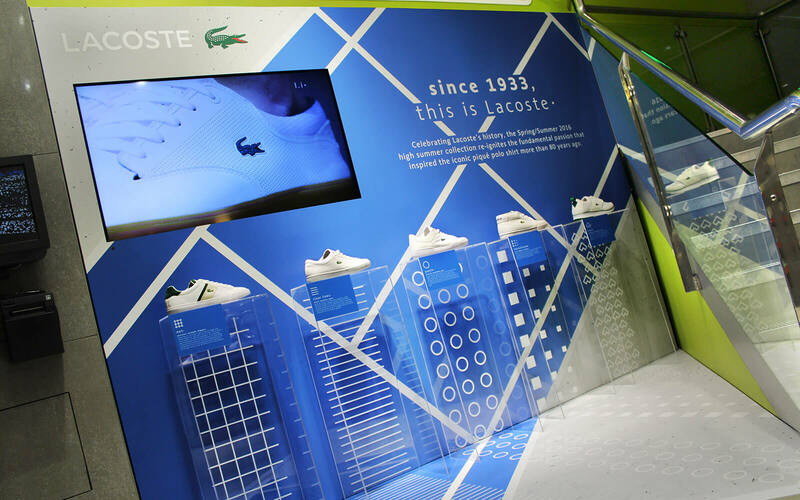 The result is a dynamic space, emulating the tenacity and invention of the original crocodile of the court, Rene Lacoste.